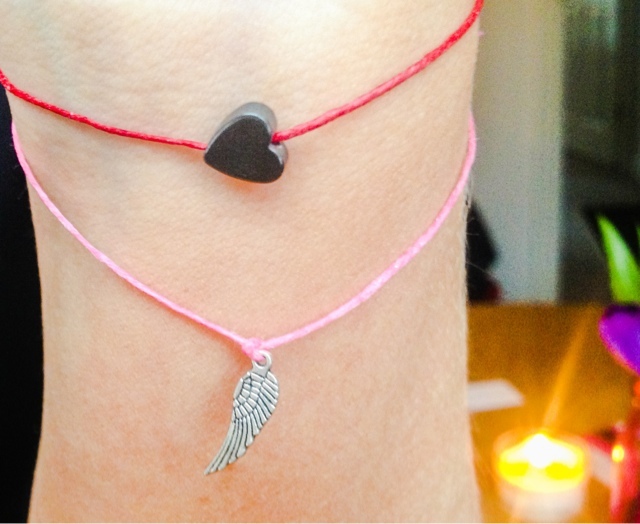 The various bracelets on offer all have different meanings and are designed to make your wishes come true. The idea is that you tie the bracelet and secure it with a knot, with each knot you tie you make a wish. The bracelets are designed to last indefinitely and made from waxed Irish linen. Legend has it that when the day comes and your bracelet naturally breaks the wishes you made will all come true. Whether or not this is true is unknown but one thing is sure, you have to believe! The whole concept around the bracelets is very unique and even for a sceptic like myself I find the whole concept magical and actually rather cute. These bracelets make an ideal gift for someone which can offer meaning and a sentimental touch for both men and women of all ages. The fact that the bracelets can break is all reflected in the price, which is very reasonable. 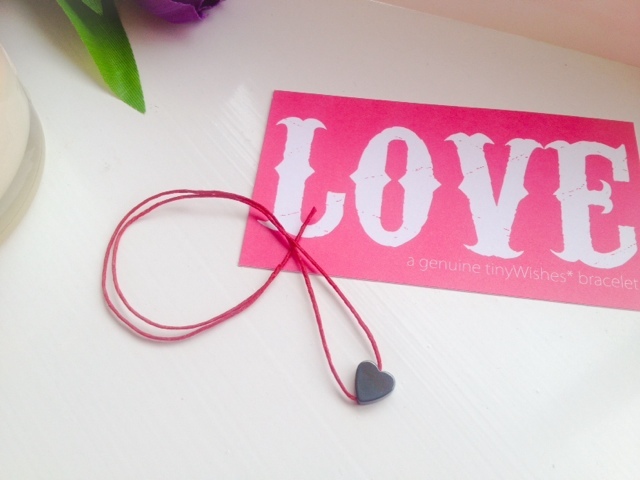 Each bracelet retails for as little as £3.50 and comes in an array of designs and finishes. All with different meanings, metals and stones. 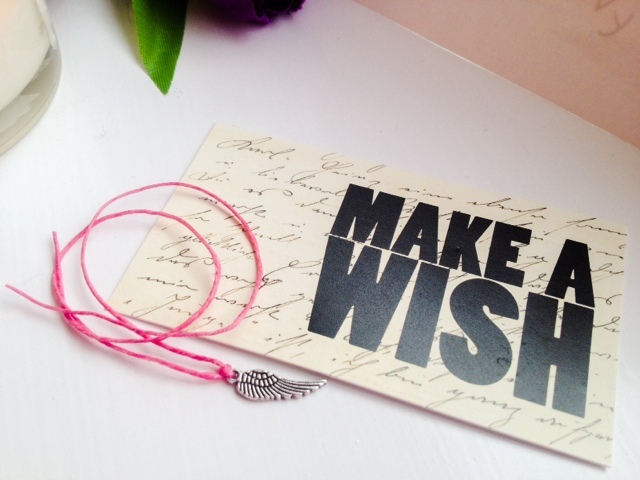 Tiny Wishes also offer a subscription service, very much like the beauty boxes you can buy, where each month you receive a bracelet though your door. There are 3 types of packages available, Silver £15.00 for 3 months, Gold £30.00 for 3 months and Platinum £40.00 for 3 months. Platinum - 4 bracelets each month and 20% off discount code to be used against any purchases made. All in all I find these a really lovely idea. I've got my bracelet on, with two knots as I'm greedy and want two wishes!lol I've been wearing it for a week now and the thread has stretched slightly but I think I'm going to have to wait a while before I find out if the legend is true, as it shows no sign of breaking yet. If you never hear from me again you know my bracelets life has come to an end and my wishes of winning the lottery have come true, don't worry though, I'll be having a cocktail for you all on my own private island! lol Until then, tell me what you think of these bracelets and what wishes you have for the year to come? You can check out more designs on the Tiny Wishes website. I love these! What a great idea, and like you say the concept does seem rather magical! Thank you for sharing, had no idea this existed - might have to subscribe or order a few! I love these and have just placed an order! Thanks for sharing! Free p&p too!